Dr. Short is a cofounder of BioAtla® and co-inventor of the BioAtla’s patented Conditionally Active Biologics (CAB) platform. He also cofounded Diversa Corp. (now BASF), a pioneering developer of enzymes, antibodies and biologically active compounds, and served in multiple roles including CEO, President and CTO from 1994 to 2005. He led Diversa’s public offering, raising over $200 million, which was the largest biotechnology IPO at that time. Prior to Diversa, Dr. Short served as President of Stratacyte, an antibody engineering company and subsidiary of Stratagene (now Agilent), who together with Scripps Clinic, were the first to clone and screen human antibody libraries in E. coli. During this time he also served as VP of R&D and Operations for Stratagene Cloning Systems. Dr. Short received his B.A in Chemistry with Honors from Taylor University. At Case Western Reserve University he received his Ph.D. in Biochemistry with additional studies in Macromolecular Science. He is the author of more than 100 publications and is the inventor of over 500 pending patents including more than 170 granted patents. In 2006, Dr. Short was shortlisted by the editors of Nature Biotechnology as a personality making the most significant contribution to biotech in the past decade. 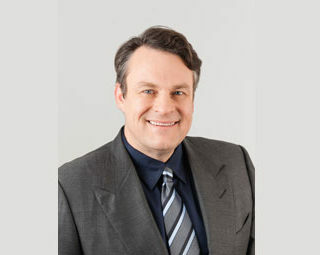 He is the recipient of numerous other awards, including Ernst & Young’s Entrepreneur of the Year Award, American Chemical Society’s Henry F. Whalen, Jr. Award for Business Development, Adaptive Business Leaders’ Innovations in HealthCare Gold Award, two of Connect’s first place Most Innovative Product Awards, and in 2010 received an international Best-of-the-Best award from the Young Presidents Organization (YPO). Dr. Short’s board experience includes 15 years as a director of Invitrogen (now Thermo Fisher), Senomyx, Taxon Biosciences (now Dupont), and Ciris Energy. He is a member of YPO/WPO and a founder of Capia IP and the E.O. Wilson Biodiversity Foundation. Dr. Short serves as an advisor to educational, commercial, scientific and charitable organizations.